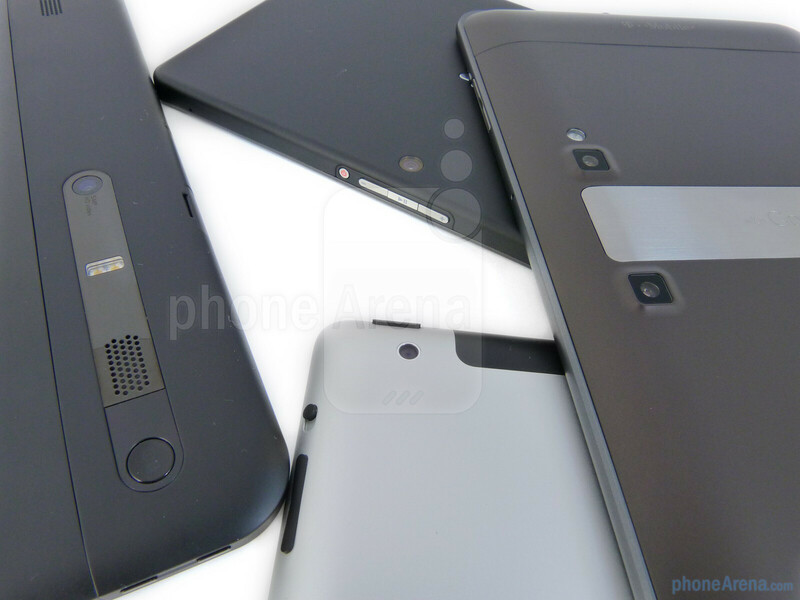 For the better portion of the last month, we’ve been toiling away getting comfy with some of the newest tablets to hit the market of late, and now that we’ve gotten a feel for all of them, it’s best to sit down to compare and contrast them all in one major showdown. 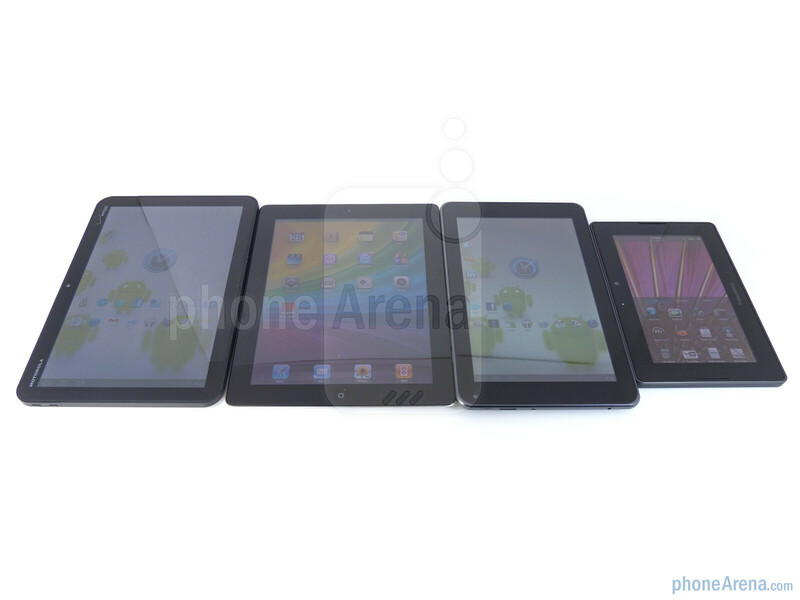 With the Apple iPad 2, BlackBerry PlayBook, Motorola XOOM, and T-Mobile G-Slate all on deck waiting for their turn in the spotlight, we have to focus our attention on all of them simultaneously to better gauge how they differentiate with one another – and at the same time, what categories they excel at. Naturally, it’s rather hard to concretely say which one is the best out of the bunch, especially when user preferences come into play, but nonetheless, we need to look back and meticulously figure out which one is probably agreed as being the most balanced. So without any further delay, let’s get right into the thick of the battle! 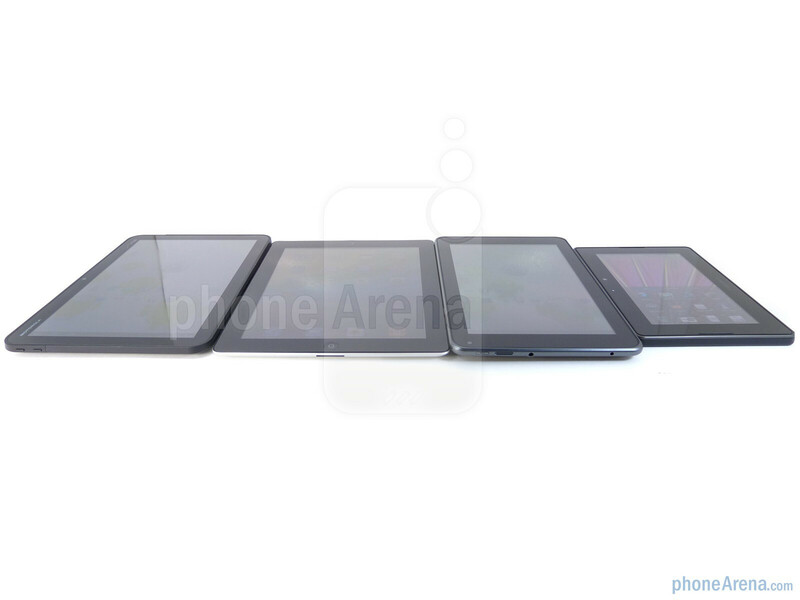 Visually, all four tablets basically rely on the same foundations when it comes down to their designs, and none of them necessarily deviate from the usual slate form factor. However, we’re still at a gaze and really have to marvel at the design and construction of the iPad 2 since it embodies a combination of quality materials and attention to fine detail. 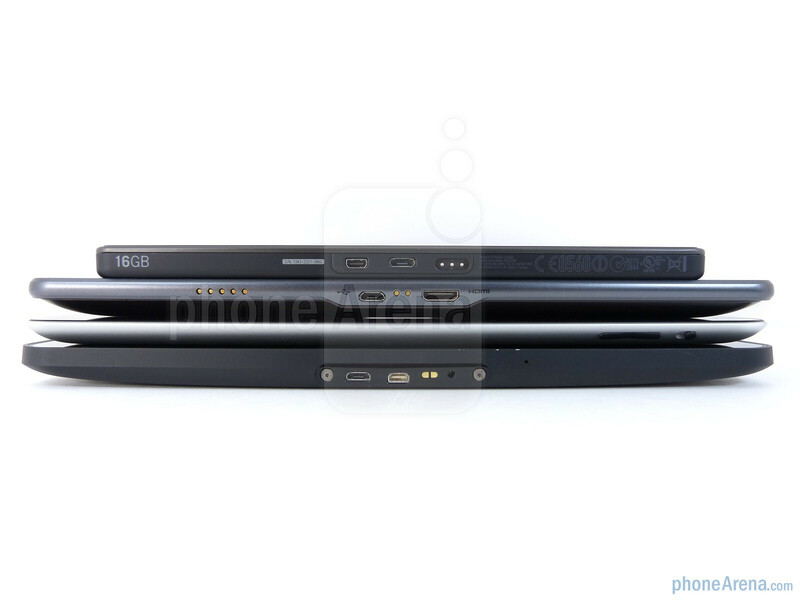 Compared to the other crop, its remarkable razor thin profile impressively sets it apart, but it’s only marginally thinner than the BlackBerry PlayBook. 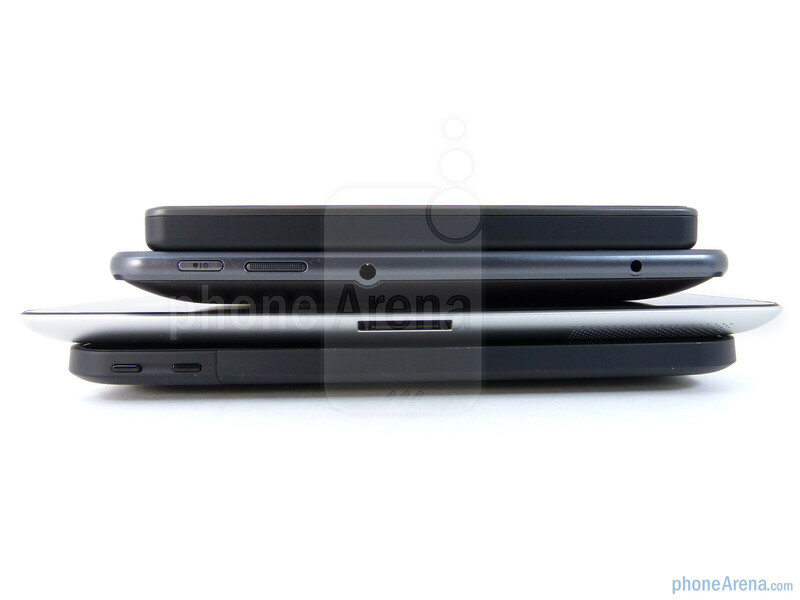 With RIM’s model, we have to applaud it as well since it’s very sturdy for a 7-incher – while retaining a pocketable design. As for the two Android tablets, we favor the G-Slate’s design over the XOOM slightly because it’s more comfortable to hold and looks cleaner thanks to its soft touch rear cover. 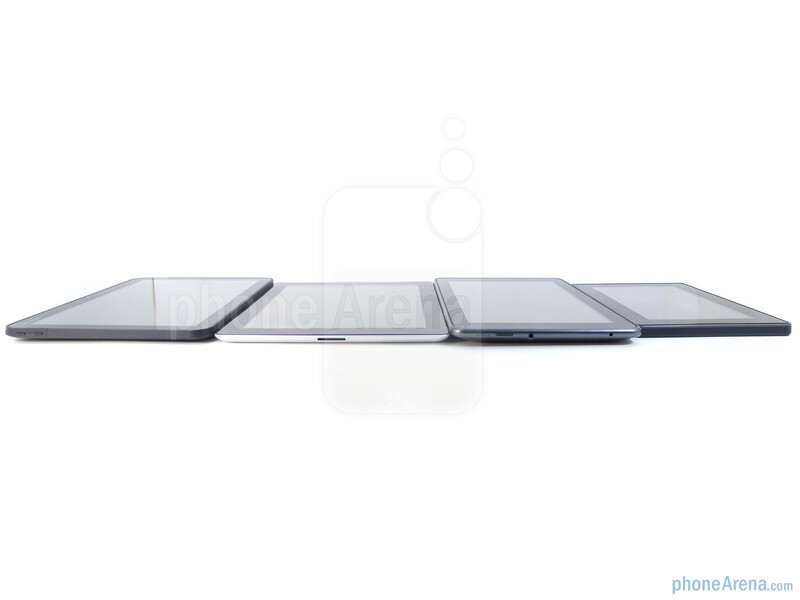 Still, the iPad 2 clearly has the striking figure from the onset that will easily attract any prying eyes from far away. Evidently, the screen size of a certain tablet will more than likely dictate whether or not it’s favorable to an individual, but in all honestly, the PlayBook’s quality display shines above the pack. Sure it’s the tiniest out of the bunch at 7-inches, but combining its iridescent color production, stunning clarity, and high pixel density, it soundly comes together to offer an unbelievable experience. Adding to its sheer prowess, the PlayBook edges out the iPad 2 in delivering the highest brightness output, which contributes in making it visible under the gleaming eye of the sun. Apple’s pride and joy follows closely with its 9.7” display, but you can distinctively notice its jagged looking on-screen text. Moreover, the G-Slate still boasts a nice looking display at 8.9-inches, but there is a slight yellowish tinge with its output. And lastly, the XOOM’s 10.1” display provides the most real estate, but it’s recognizable that it’s employing the lowest quality display because of its weak luminance. Not something you’d necessarily think about, especially taking into account the larger size of tablets, we’re still presented with the ability to shoot photos and videos on the go with all four. 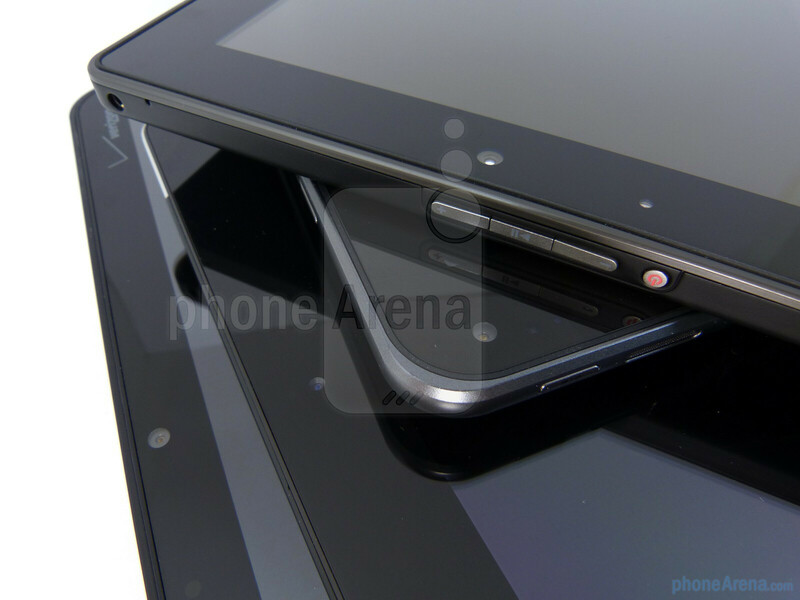 In terms of sensors, both the iPad 2 and PlayBook employ fixed focused cameras that lack any flash, but the PlayBook manhandles the iPad 2 since it packs a 5-megapixel one as opposed to the less than 1-megapixel count of the iPad 2. Conversely, both the G-Slate and XOOM carry along 5-megaixel auto-focus cameras with flash, which is handy for macro shots, but the G-Slate has the novel feature of shooting videos in 3D with its dual cameras. Turning on a tablet shouldn’t be a frustrating experience in any sense, but unfortunately, the PlayBook’s annoyingly small dedicated power button is a nightmare to press. Thankfully it’s not much of a problem with the other three tablets, however, you can bypass on having to press the PlayBook’s power button because you can still execute a swipe gesture from the bottom bezel all the way to the top one to power it on – sadly, there’s no gesture to do the opposite. Google needs to step it up with Honeycomb. . . the browser just isn't good enough right now and that's a major issue. 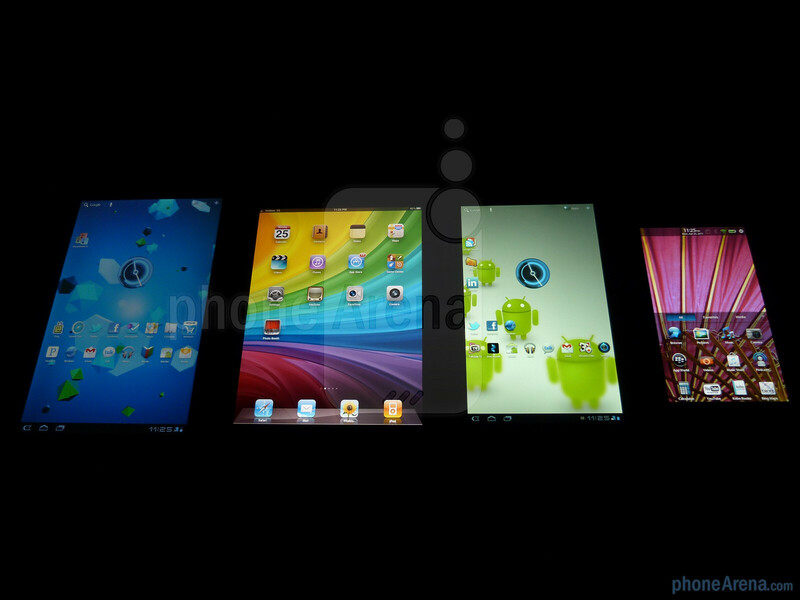 It would also be nice to see some of the PlayBook's gestures come over to Android. I think the QNX PlayBook OS is the most interesting but they have a ways to go with it and devs need to support the device. Nonetheless, until Win8 tablets hit we really aren't seeing the full race. Google needs to step it up? Hey, how does apple handle flash content? Oh yea.. thats right.. it cant. :) Step it up apple! Quit being a whiney snob and make a deal with Adobe. Well, going category to category the clear winner is Honeycomb followed by QNX with iOS in last place. best screen? QNX best notifications? HC best multitask HC best browser QNX best camera HC Best video HC best keyboard HC best battery iOS smoothest movement QNX (sorry, but apples non multitasking OS is disqualfied for being too simplistic and doesnt operate in the same category as the other 2) most form factor/price point choices HC most optimized apps iOS Sooo... iOS = 2 QNX = 3 HC = 6 Phone arena cant say it for some reason, but i can. By their own article, Honeycomb is the clear OS winner. uhhh no. 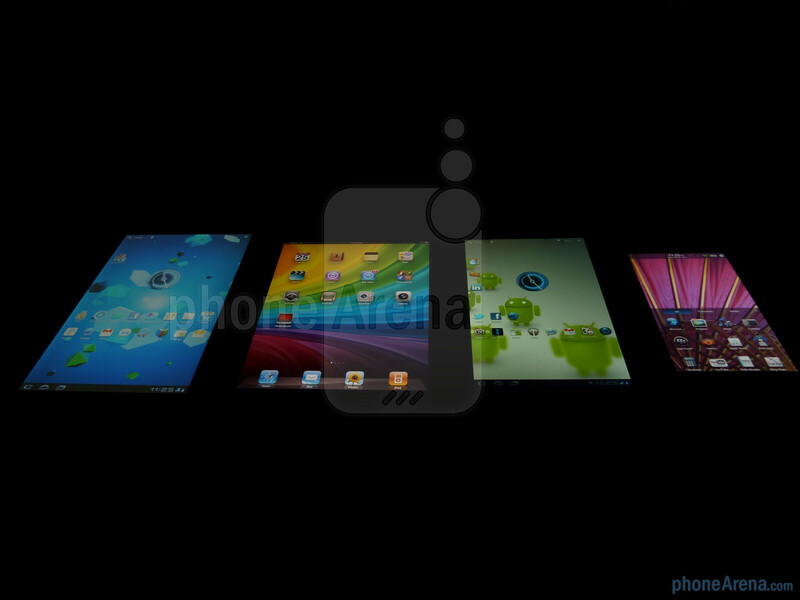 best camera and multitasking definitely goes to the playbook. i dont see honeycomb doing 1080p video and multitasking as smoothly. ya ur retarted... if u want to go into everything then the ipad obviously wins... THEY SAID HONEYCOMB LAGS... ur trying to get us to think a laggy product is amazing just cause it has a better camera on a tablet? nice.. oh and i see you forgot to add the price in there hahahahahaha. what a joke. u have no credibility to ur statement. so ur telling me with only one model on each hc tablet, it has more choices? the ipad has three!!!! hahahahaha and its so much cheaper... hahahahaha u just hate on apple but the ipad 2 vs honeycomb is the wort place to show it cause wait what was that? the xoom only sold 250,000? 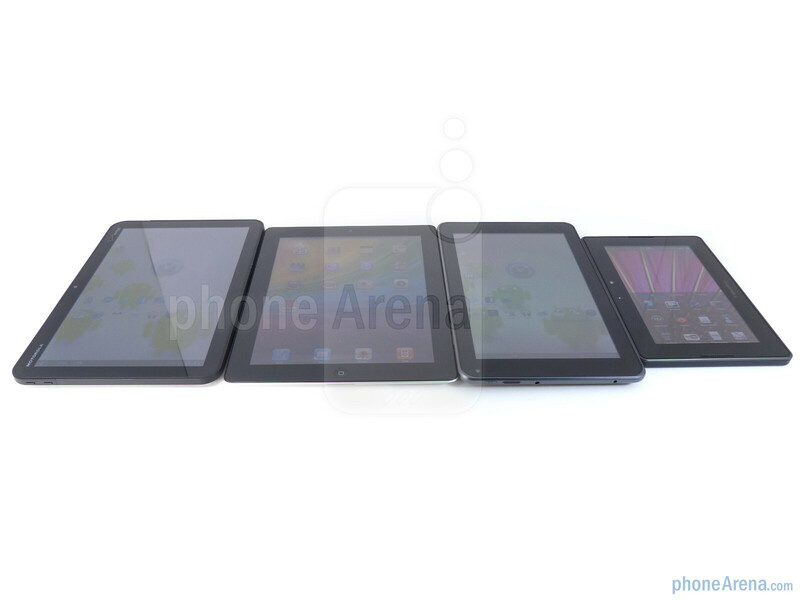 didnt the ipad 1 sell 300,000 on its first day alone? so if u cant stand to reason just loooook at the numbersss. Point of no of units sold is not valid. When ipad came out. There was no competitor. okay... so ur telling me just cause the ipad was so revolutionary and came out a year before any other manuacturer we should not give it the credit of selling? remixfa How can you give Honeycomb the best multitasking score? 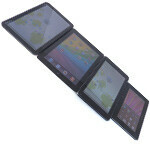 The Playbook multitasking is one of its biggest selling points and puts the competition to shame. Admittedly I'm a big fan of the Playbook and would probably change a few other points to PB too - but those are personal preference, but surely QNX has a vastly superior multitasking experience? the LG shoots 1080p video just fine. 1080p in single camera mode, 720p in 3d mode. the fact that it has the capability to do a 3d mode puts it ahead regardless. I put "performance" under smoothest movements, which i gave to QNX. Since they all pretty much run the same processor otherwise, i didnt see a need for a specific performance category since they should all be nearly identical. Also since there isnt any high end QNX games to do framerate comparisons between, u cant really judge the QNX's high end performance (a difference in drivers between platforms can make a real difference).. just how smooth the UI is. 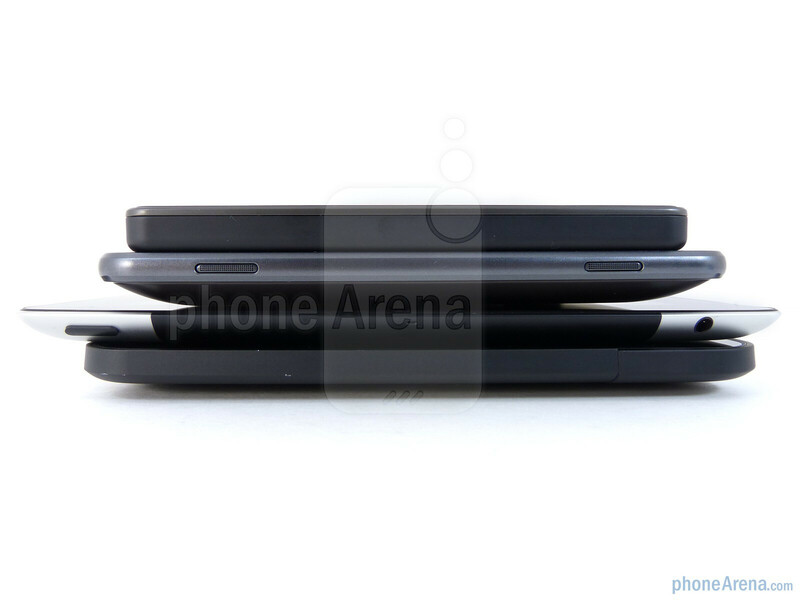 So, my count still stands.. and either way the clear looser is iOS which was the point that Phone Arena is afraid to make. The processors statement is very valid. 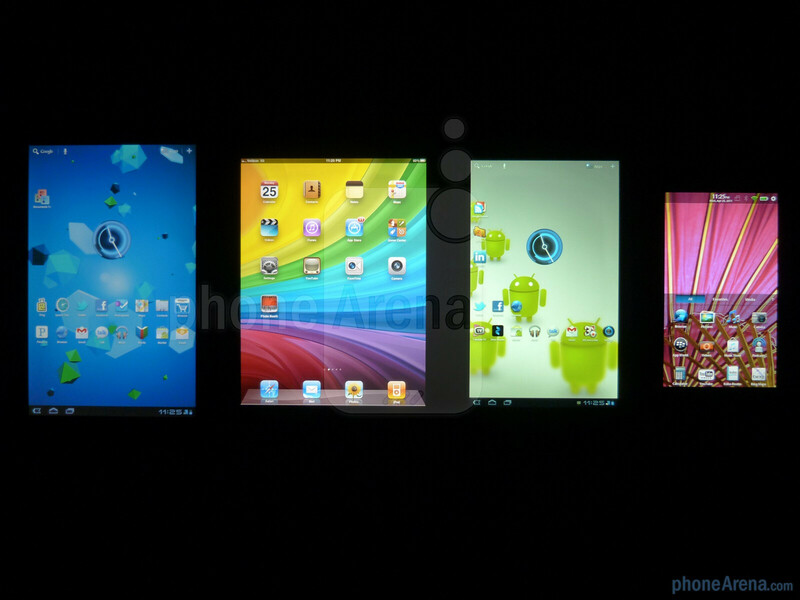 They are all running off a tegra2, exept for the ipad which is running off a downgraded samsung eXynos processor. They are all pretty much the same. The only difference between them is going to be how their software is optimized for the chipsets. Apple hasnt had "a year" to fine tune anything. 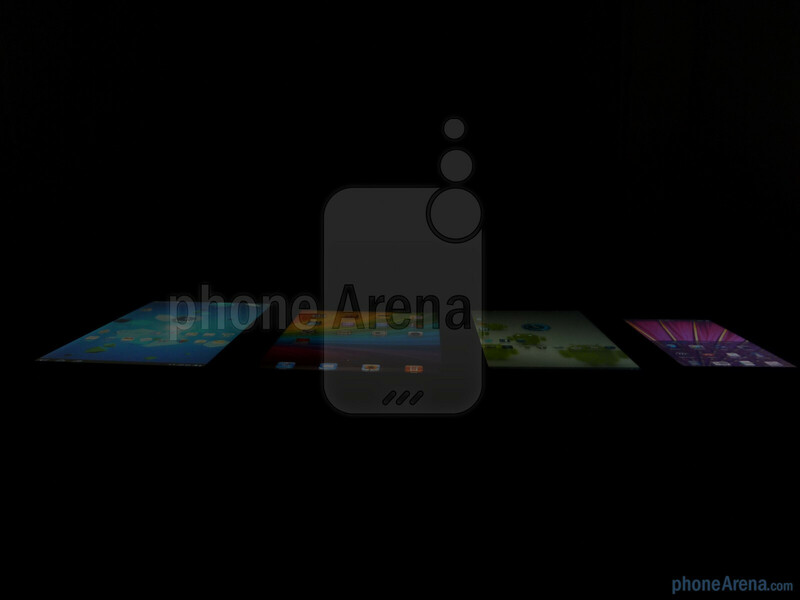 The iOS is by far the most simplistic and lowest resource using os of the group. It ran smooth on a single core.. did you expect different on a dual core? Then again, if apple ever implements things like ya know.. multiple screens, widgets, REAL multitasking, flash, live backgrounds, real notifications, and whatever else... the system would take up a heck of a lot more resources and slow down a bit like the other 2 OSs that actually do all that. okay... so a lagggy os is worth a few widgets? and not all processors are the same. 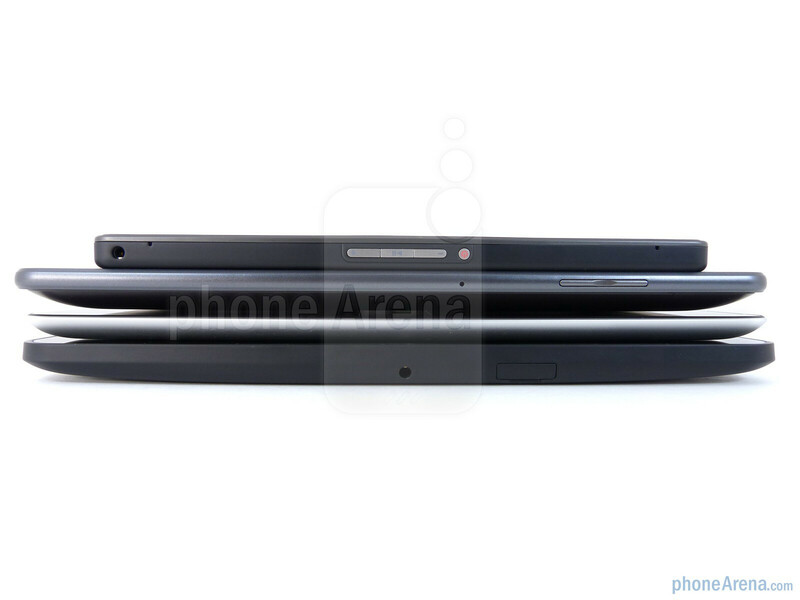 and also i dont think the a5 is a exynos..
the A5 is a samsung made dual core. It is a low end exynos. The same way that the original iPad and iPhone4's "A4" chip was a low end Humminbird processor.. the same that is found in the Galaxy S. Samsung makes the bulk of Apple's internal hardware. And yea, all the smoothness in the world isnt worth giving up all that functionality. If im going to pay 600 bux for something i dont really need in the first place, i want functionality, not window dressing. Besides, its not like its THAT choppy. It just seems that way when compared to the simplistic iOS. I've been playing with the Gslate at work for weeks now. Unless the thing is loaded down with pages of widgets and programs running in the background, its relatively smooth. 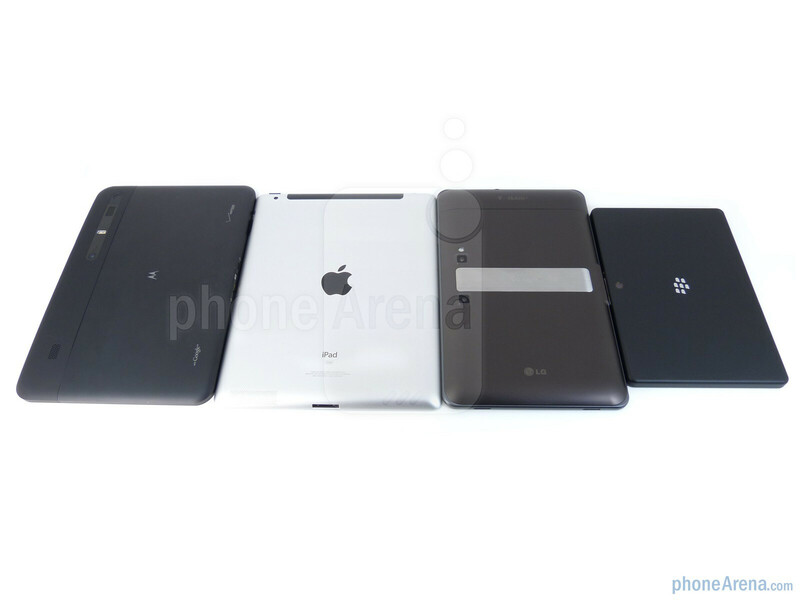 Seems like any Apple device will be considered better over here. Lame. I try out all of those tabs still ipad2 the best for lot of reason: - faster than all those tabs - better battery life - more apps 65000 and better garpics and lots of HD games that xoom and can't offorded play book it's a nice tab but no apps, no mail client, no Facebook client the best thing on play book the browser with full flash and you tube client and by the way honey comp multitasking it's a copy of iPad multitasking no different freez the app! The real multitasking is only play book admit that.